Mayor Andy Berke and the Chattanooga City Council will introduce on Tuesday a joint resolution confirming Phil Noblett as city attorney and chief legal officer for the city of Chattanooga. A native of Asheville, North Carolina, Noblett earned his Juris Doctor from Cumberland School of Law at Samford University in Birmingham and has been a licensed attorney in Tennessee since 1982. Noblett was a member of the firm Nelson, McMahan & Noblett from 1990 until 2009. 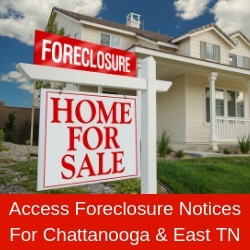 During this time, he served as a municipal and civil litigator on many state and federal court matters for the city of Chattanooga and other municipal governments across Tennessee. Noblett became deputy city attorney in 2009. He has served as president of the Chattanooga Bar Association and is a fellow of the Chattanooga Bar Foundation. “I’ve had the privilege of representing the City of Chattanooga and many other municipalities over my career,” Noblett says. “It’s an honor to serve as the next city attorney and work alongside our dedicated City Council and mayor to make Chattanooga a stronger, more equitable and inclusive city for all Chattanoogans.